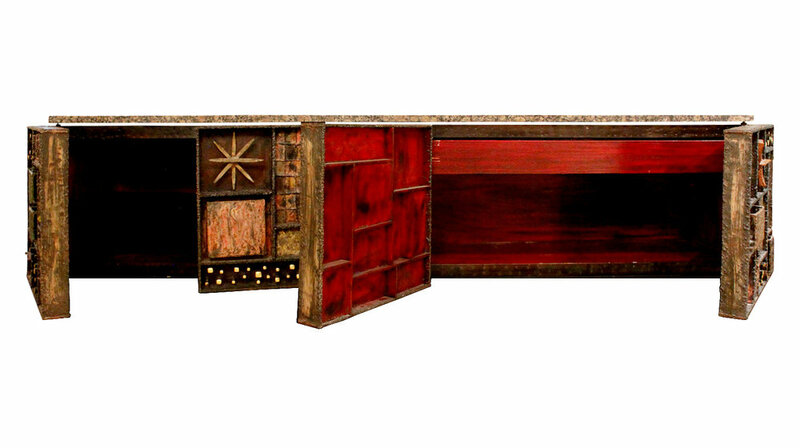 Forged Front 4 Door Cabinet in welded and patinated steel, color pigments, 24 karat gold leaf, painted wood with granite top by Paul Evans, American 1979. This piece comes with the original invoice from The Paul Evans Studio. It was designed for a client who did not want a slate top. On the invoice it states: "No slate. Oxidation to emphasize coloration of granite sample." Wood base shown in photo fabricated by Lobel Modern. This is a rare important iconic work by Paul Evans. 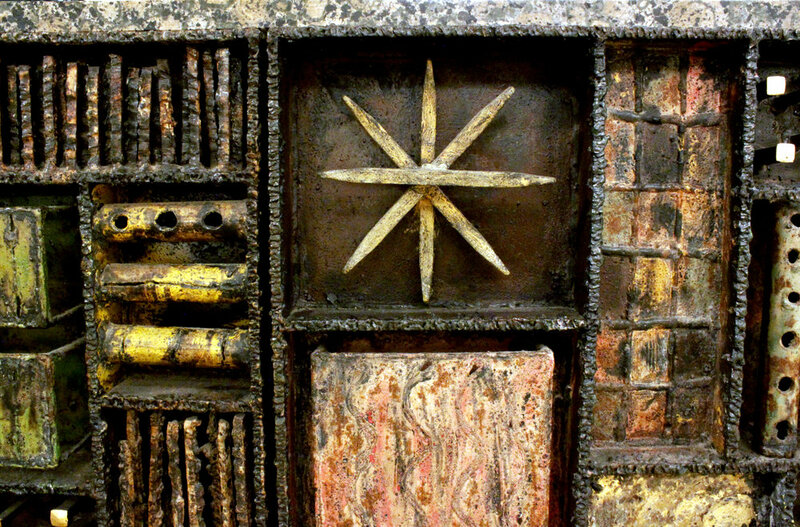 "Paul Evans, Crossing Boundaries and Crafting Modernism", author Constance Kimmerle, published by Arnoldsche Art Publishers in 2014, a similar example is shown on pages 162 & 163, Cabinet (Forged-Front), 1964.